Dan Bloom owns Stonehenge and is also one of our top masons. 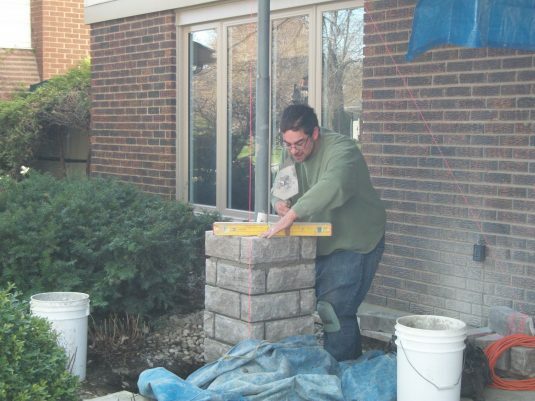 He specializes in natural stone, brickwork and foundations. He has 15 years of experience in masonry, and knowledge of carpentry, engineering, architecture and building codes. 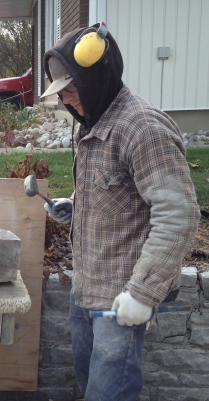 Dan was trained at the Algonquin College Heritage Masonry course. 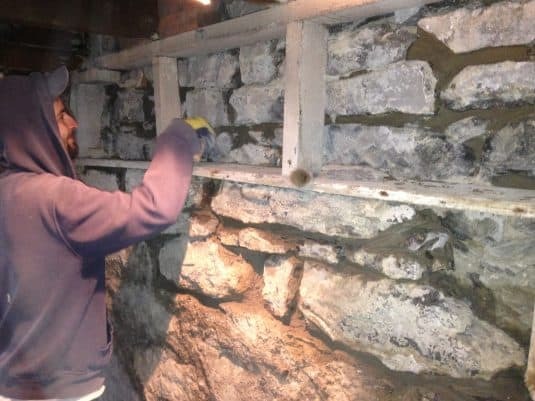 Tim Marshall has more than 25 years’ experience as a mason. He has worked on just about every project imaginable, and is particularly skilled in stonework. He was one of the first graduates of the Heritage Masonry program at Algonquin College in the early 1990s. 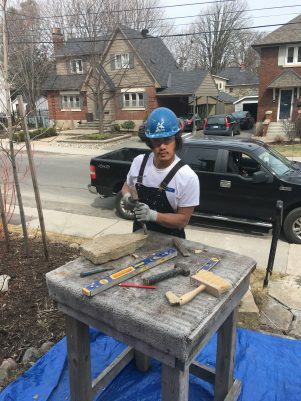 Shawna Allen is an expert mason with 10+ years of experience in heritage and restorative masonry. 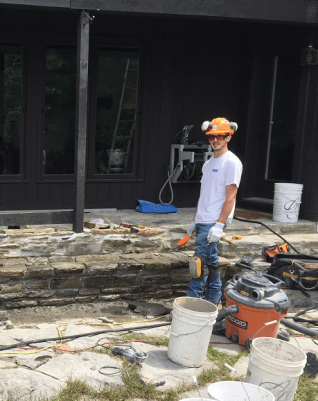 Her training started at Algonquin College in the Heritage Masonry program. 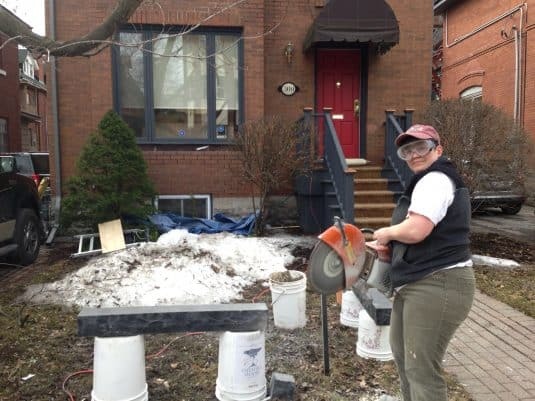 Shawna is proud to be one of the few female masons in Ontario. Sean Murray is tops when it comes to chimneys. He has more than 10 years’ experience building, repointing and capping chimneys. A thorough planner, his sites run smoothly, on time and, most important, safely. 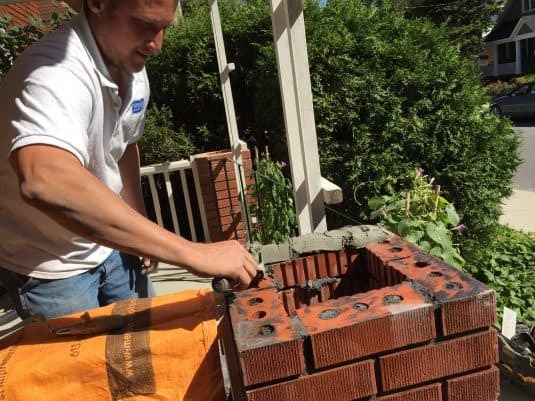 Matt Marshall is one of our expert chimney and brickwork masons. His father is a mason, so Matt learned a lot around the dinner table. Matt, himself, has over 10 years of experience. He doesn’t just do masonry, he understands it inside out. All our expert staff masons are great, but if you want someone in particular just ask! Expert Masons. Every Job. Guaranteed!